I struggle when it comes to lunch ideas. I’m typically juggling a toddler on my hip, making sure she gets fed, picking up food she throws on the floor, and then it seems like she goes straight back to playing and tearing apart our house. And then I realize I haven’t fed myself. 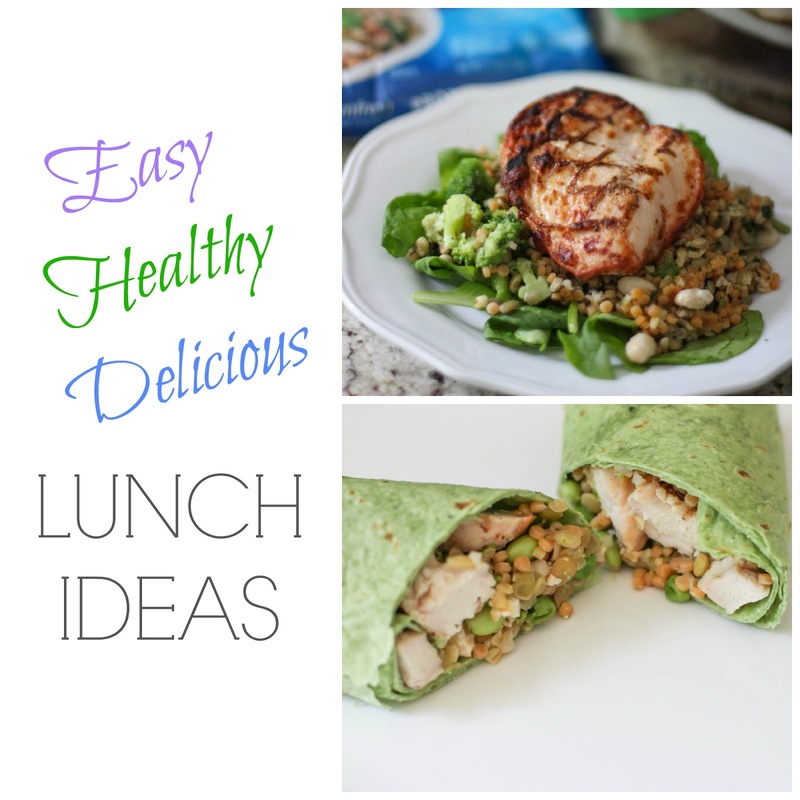 I need super quick and easy lunches that I still enjoy, but all too often those aren’t healthy options. That’s why I’ve gotten creative with my lunches and today am sharing 2 lunch ideas that are ready in just a few minutes in the microwave that are yummy and satisfying, perfect for the busy mom! This one is particularly easy. 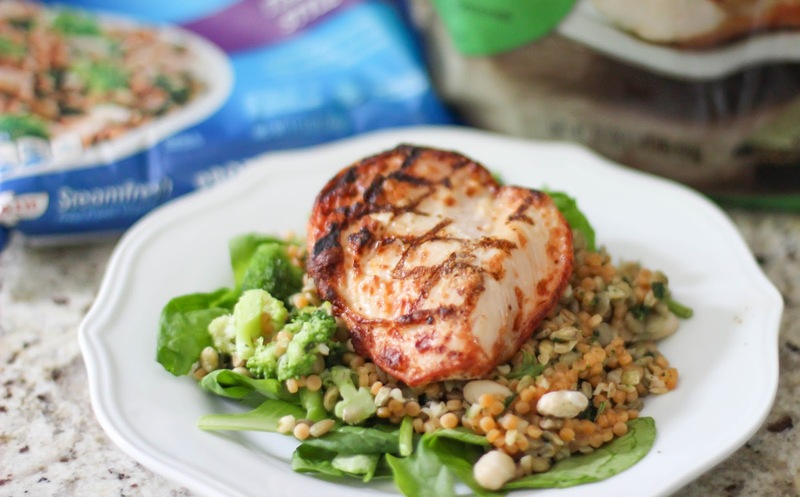 Just heat up a chicken breast fillet and your Protein Blend in the microwave, and create a salad using a light bed of spinach leaves, about half a bag of Italian Style Birds Eye Steamfresh® Protein Blends, and top with a Tyson® Grilled and Ready® Chicken Breast Fillet. Drizzle just a little bit of Italian dressing on top and you are good to go. The Protein Blend has a light sauce to it which compliments the whole dish nicely. In addition to spinach and broccoli, the Italian Style Protein Blend contains white beans, lentils, and whole grains, which combine for a great combination of textures. This is a really delicious salad and great for anyone in a hurry who is looking to cut out carbs from their lunch routine. Heat up a chicken breast and the bag of Protein Blends in the microwave. 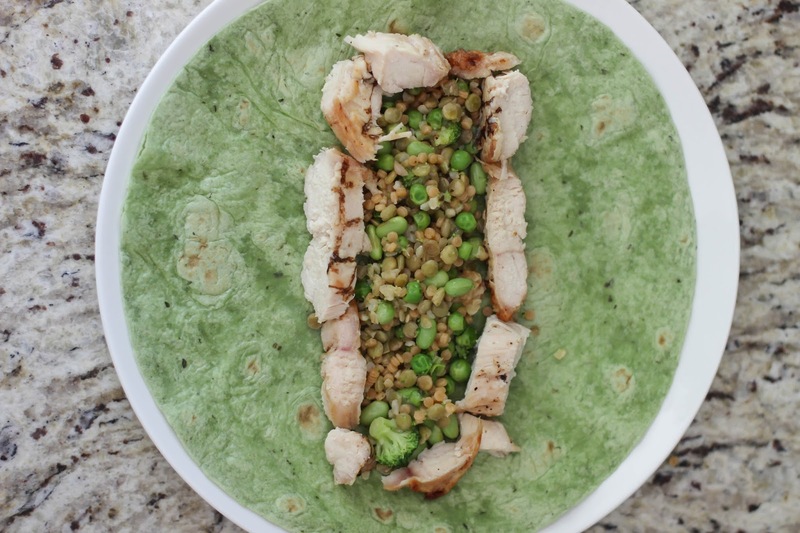 Slice the chicken into strips then arrange on a flat wrap, add about half a bag of California Style Birds Eye Steamfresh® Protein Blends, then simply fold and roll up! 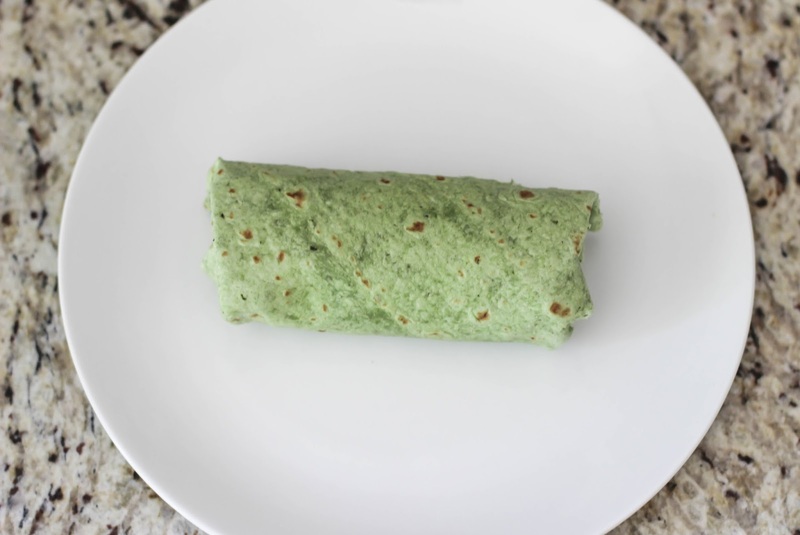 Cut wrap in half to make easier to eat. 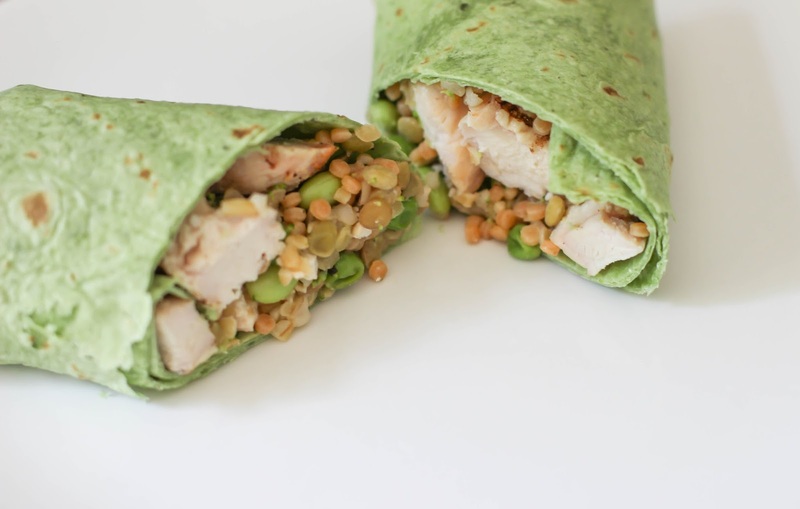 The flavors of the California sauce and the edamame in the California Style Protein Blend mixed with the chicken and the wrap are almost too tasty to handle. I’ll probably be eating this every day for lunch from now on! 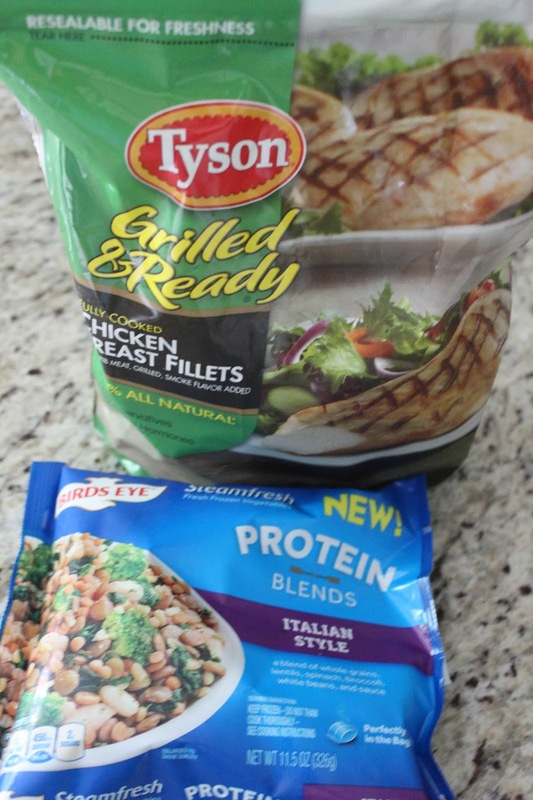 Both of the recipes I’ve shared use Tyson® Grilled and Ready® Chicken Breast Fillets and Birds Eye Steamfresh® Protein Sides, which are full of veggies with added protein for a full meal solution. They are convenient to heat up in the microwave, and are great on their own or used in a recipe like the ones I shared. Tyson® Grilled and Ready® Chicken Breast Fillets are fully cooked while being 100% natural and made with all white meat. You can use these in so many recipes, the ones I’ve shared are just the tip of the iceberg! 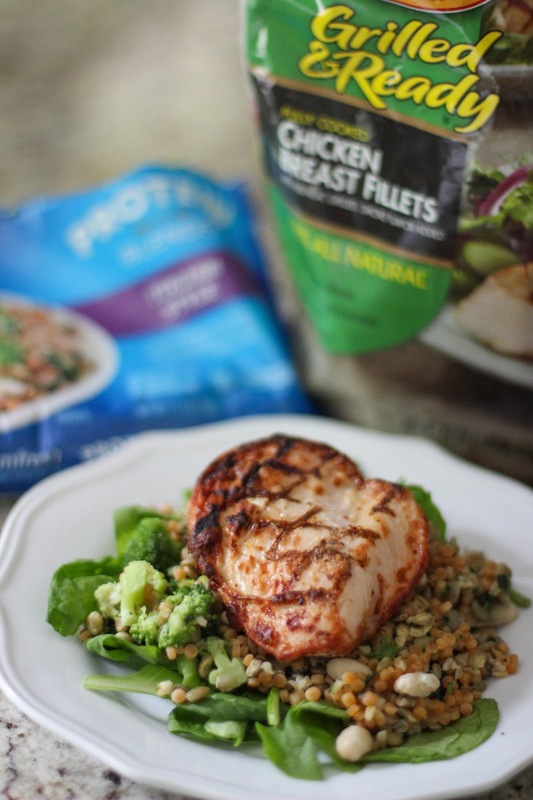 Both Tyson® Grilled and Ready® Chicken Breast Fillets and Birds Eye Steamfresh® Protein Sides can be found at Walmart, as well as all the other ingredients you need for these recipes. Now you tell me – what are your go to easy but yummy lunch recipes? I love the idea of that italian chicken protein blend salad! It looks right up my alley. Thank you so much for sharing it with us on Grow Your Blog. You're welcome! Let me know if you try it! You should try the Birds Eye Protein Blends! SO tasty! Yum! I love how colorful the food looks! I've never tried the Grilled and Ready chicken breasts. I'll have to look for those at the store. You really should! So convenient and yummy! Those recipes look yummy! The only thing I would trade out is the Tyson chicken for organic & local. Great post! This looks delicious! I'll have to add it to our menu soon! I'm a big fan of Tyson!